If you haven’t picked up Apocalypse – the final DLC pack for Activision and Treyarch’s Call of Duty: Black Ops II – just yet, the developer has a trailer with gameplay footage to whet your whistle for the content. Dig: An adaptation of the fan-favorite “Courtyard” from Call of Duty: World at War, where two archaeological dig sites in Afghanistan become the perfect playground for combatants eager for hectic, unceasing confrontations. Treyarch, has retained the spirit of “Courtyard” with two major chokepoints, a wide open layout and raised platforms, but has provided fans with a fresh take on the multitude of paths. 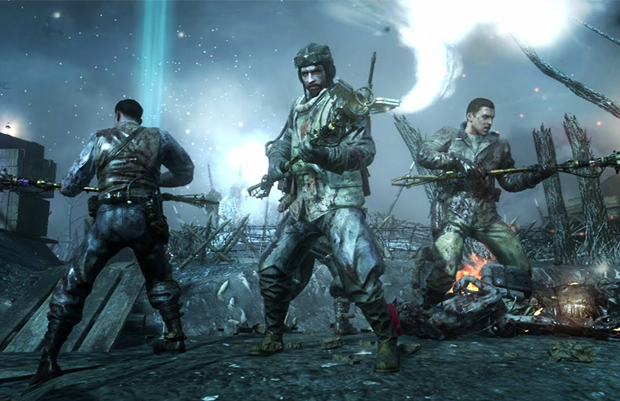 The pack also includes “Origins,” a new map for the ever-popular Zombie mode. Described by Treyarch as having a “dieselpunk” art-style, “Origins” features some new elements, such as a zombie tank and a massive robot on a ravaged French battlefield from World War I. The content is available exclusively on Xbox Live (for now) for $14.99. Have you already picked up Apocalypse? What do you think of the content? Let us know in the comments.